I do not normally share difficult personal stories here; I tend to focus on the more positive stories, the ones that are easier to write. My usual reaction when things are tough is to hibernate and withdraw. However, this piece begged to be written, so I am going to try to give it justice. I have experienced grief, sorrow, and sadness at many times of my life, but my most recent encounter with grief has profoundly changed me. Friends of ours lost their 16 year old son. He was delightful - full of laughter, humor, spirit, and lots of orneriness. When he walked in a room, his engaging ways could make us smile, even when we didn't feel like it. One day he was here; the next day he was gone. Any parent who has lost a child knows this isn't the "natural" order of things. Our children should outlive us, and when they don't, we are filled with a hole in our lives that leaves us inconsolable. That feeling is what our friends are currently experiencing. Their grief is a living, breathing thing; it has a life of its own. I was with them at the calling hours, the funeral, and even at their home when we all sat around, cried, hugged each other, and told some stories about this child. We held on to each other, trying to make sense of something that defies all logic. The fact that they are our friends has me grieving, but another layer to this story is that I also had this child as a student. For about 175 days one year, we spent time learning from each other in our classroom. I imparted my knowledge about being a reader and writer, but I learned a lot from him about how to embrace life. He loved his family, his sports, his friends, and anything Cleveland. When his parents are ready, I have many "M" stories to share that will allow us to laugh and cry together. He was life force all of his own, and now he's gone. That fact has many reeling - his friends (a multitude of students from all 3 high schools in our community), his coaches, his teachers, his neighbors, his teammates, his extended family, his brothers, his mom, and his dad. The grief is real. Learning how to live without "M" - that is a grief his parents are feeling, and the hard road they now need to travel. The best any of us, as friends, can do is to stand along the road to support them in whatever way needed. 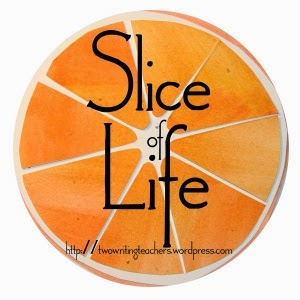 Thanks to the ladies at Two Writing Teachers for hosting the Tuesday Slice of Life. Head on over there to read even more "slices" that others wrote. It's move-in day again. Not new house move-in. Not college move-in. Not moving a daughter into her new apartment. 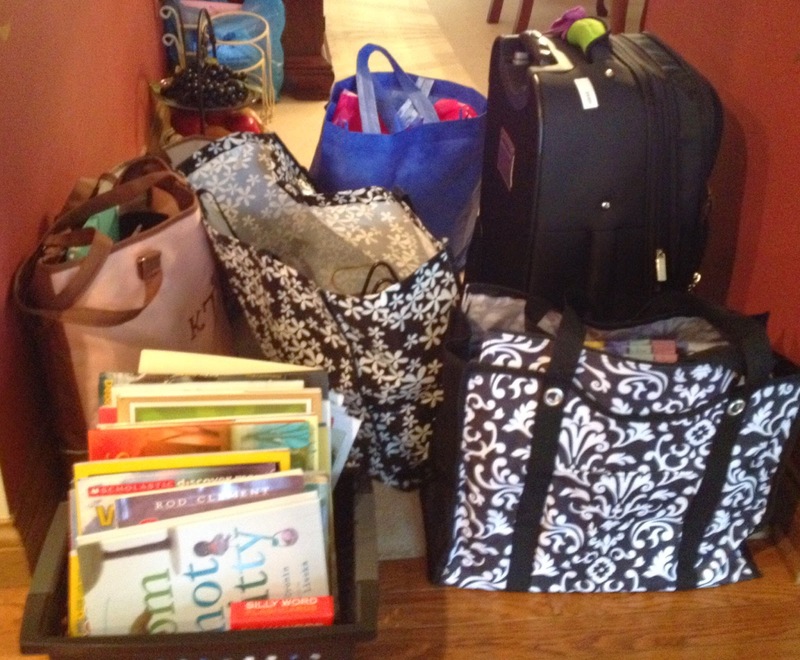 No this is move-in day for me. In my new position as intermediate literacy coach, I have the privilege of working beside my intermediate colleagues in four different buildings in our school district. The number of colleagues I work with can be daunting, but not as daunting as the first day move-in. Our district's coaching model finds us in one school at a time, for about a span of three weeks. For me, that means four different offices. I'm certain I will fine tune this by the end of the year, but for now, four different offices means all my mentor texts, professional resources, technology tools, container of chocolate (a must for all coaches! ), and various sundry items all travel with me each time I make a move. Who will I sit and eat with at lunch? Will people like me here? Will I be able to find the bathrooms? How do the copiers at this school work? Let's just say, I have an entirely new appreciation for what it means to be the "new kid" at school. But after I have moved in to the new office space, unloaded my things making sure that books are the first thing noticed when entering the office, and found the bathrooms, the jitters go away. I find some people with whom to eat lunch and the staff welcomes me warmly. But thank heaven, I don't have to find a group to play with at recess! 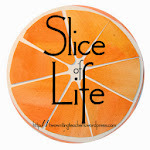 A huge thank you to the smart ladies at Two Writing Teachers for hosting a Slice of Life each Tuesday. A little over a week ago, at #ncte14, I attended the Children Literature Assembly's breakfast, and had the distinct pleasure of hearing Jon Klassen speak. As he shared two of his books, I Want My Hat Back and Sam & Dave Dig a Hole, it was delightful to look at the illustrations in each book again accompanied by Jon's commentary. Understanding the underlying thinking behind these illustrations had me giggling over and over, and I knew I wanted to reread both books. 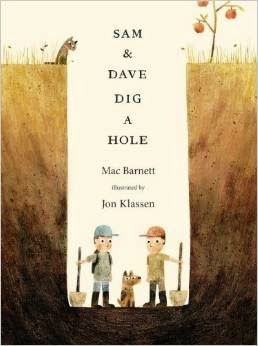 After listening to Jon talk about the ending of Sam & Dave Dig a Hole, I knew I had to reread it one more time on my own. If you haven't read this book, or it's been a while since you read it, it would be a good read. More importantly, it would be a great book to share with students. Having them share their thinking about the story would be a good way for them to process their understanding of the text. Having them see the pictures where the boys come oh-so-close to the treasure, but then back off, could lead to a conversation about frustration. But the conversation I would really love to hear is how students interpret the ending of the book - do they notice differences? Can they explain those differences? In all honesty, I totally missed it - this thing we call "close reading" - I was not engaged in that at all! My gut feeling is that given how visual many children are, they will notice, but then the conversation about the meaning they place on what they notice would be fun. I also reread Flashlight by Lizi Boyd this week. It would be a great wordless picture book to help promote thinking and inferring and conversation. Each page not only tells its own story, but through cut-outs on the page, it gives a glimpse into creatures that may be on the next pages, as the little boy traverses the woods at night. The stories children could create as they use the beam of the flashlight to focus their thinking would be fun. 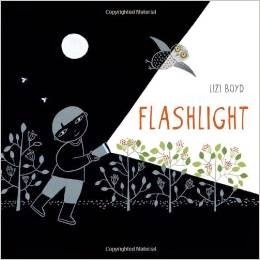 Wordless picture books like Flashlight would not only be great for primary students, but it would have the same power in intermediate classrooms as well. I hope you had some enjoyable reading experiences this past week. 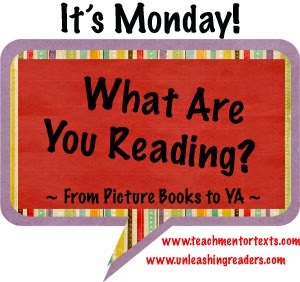 If you'd like to see what other children's books others read this week, head over to Teach Mentor Texts. Thanks so much to Jen for hosting the kidlit version of IMWAYR! !